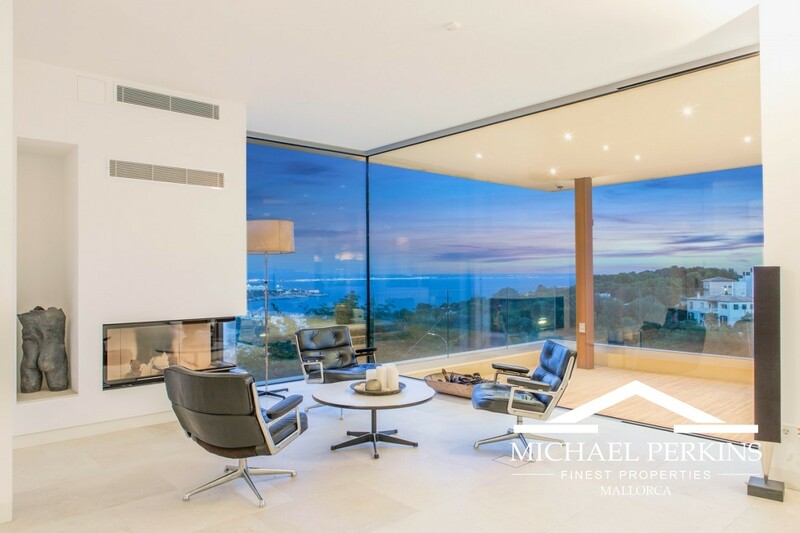 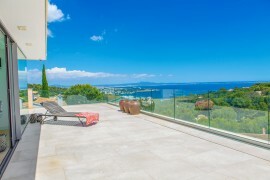 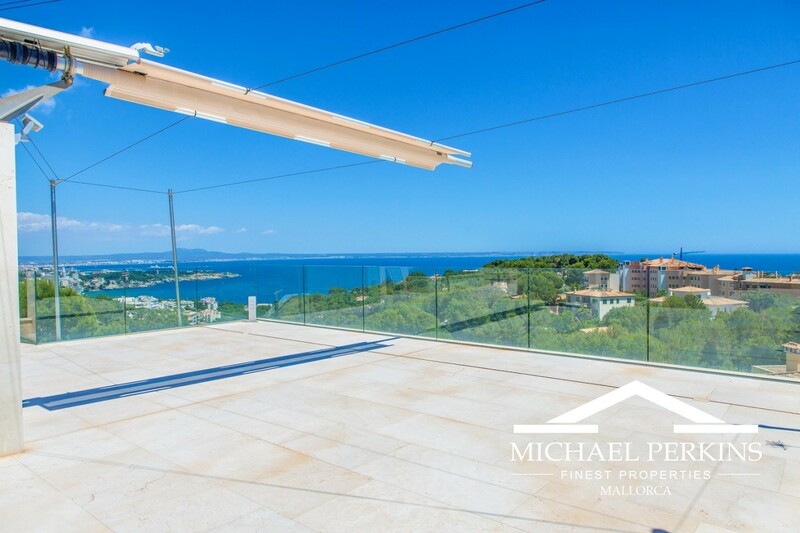 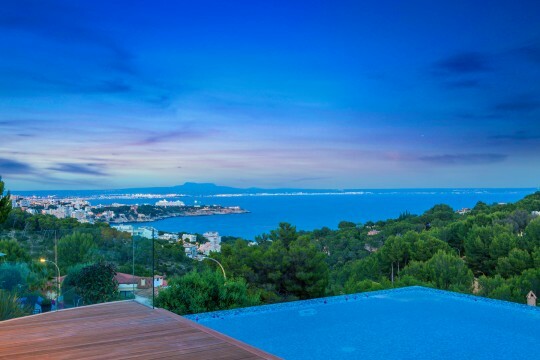 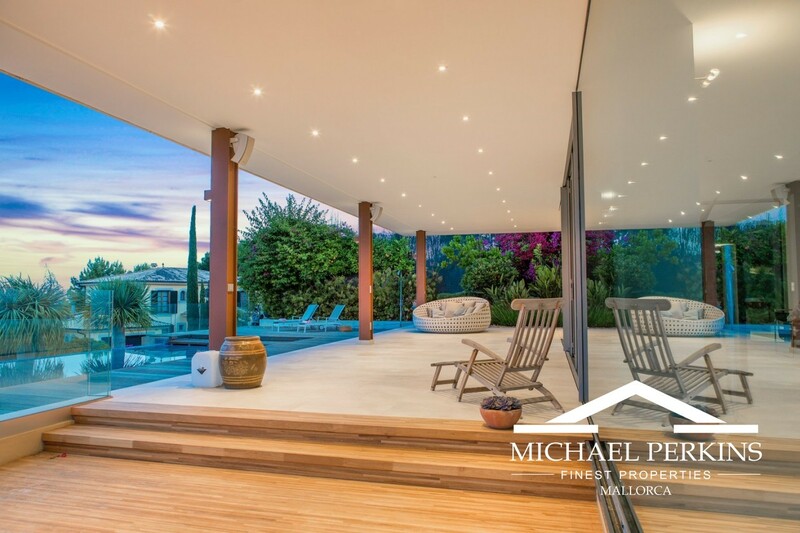 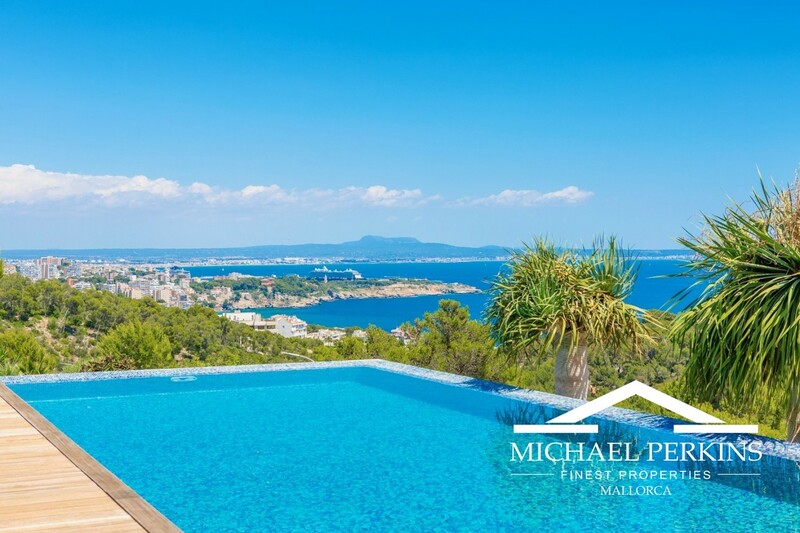 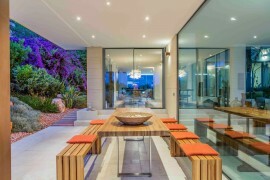 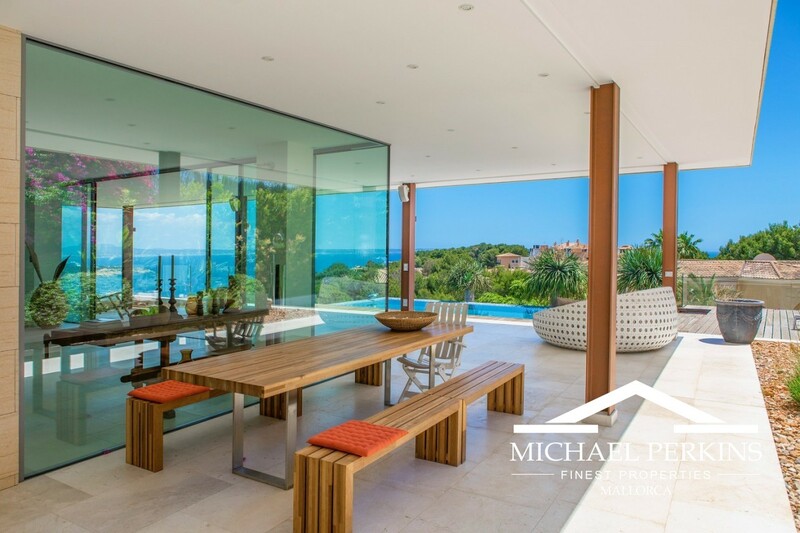 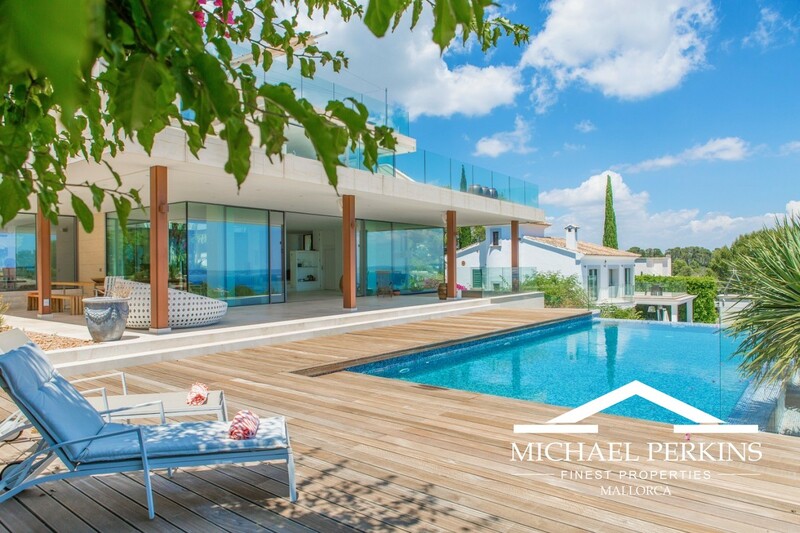 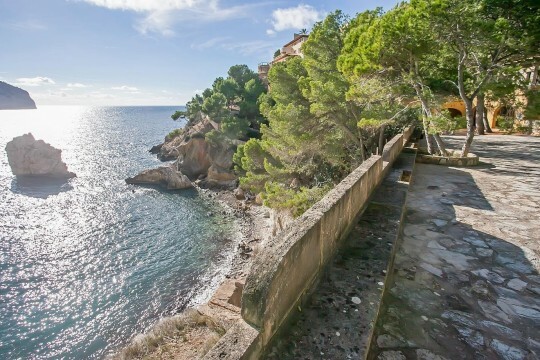 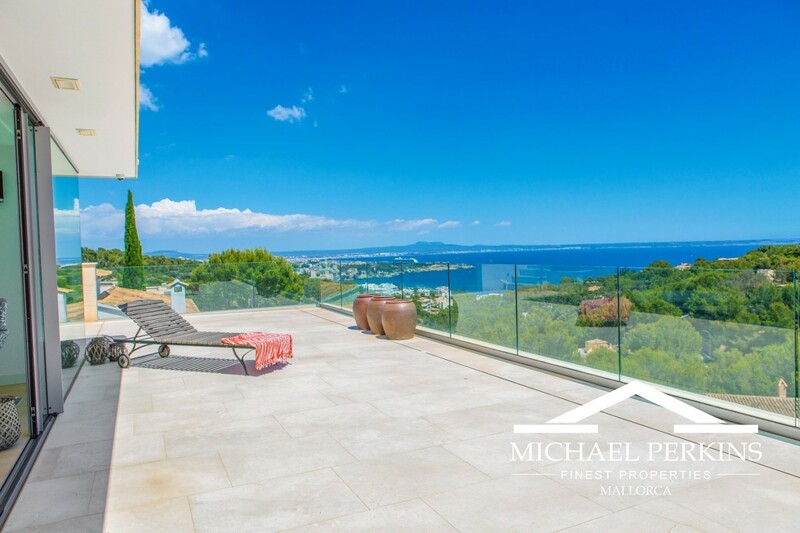 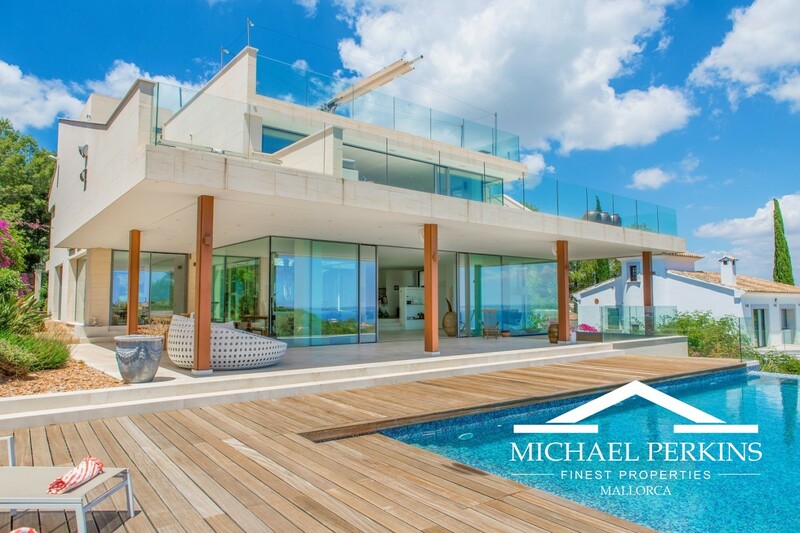 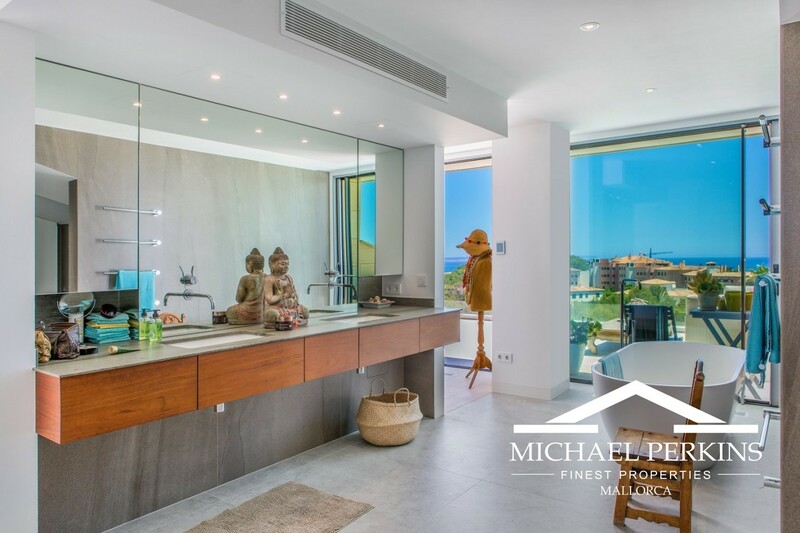 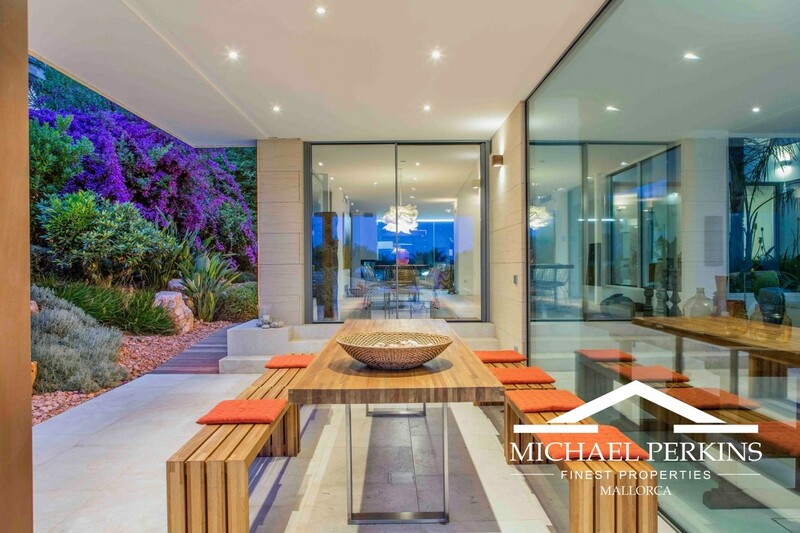 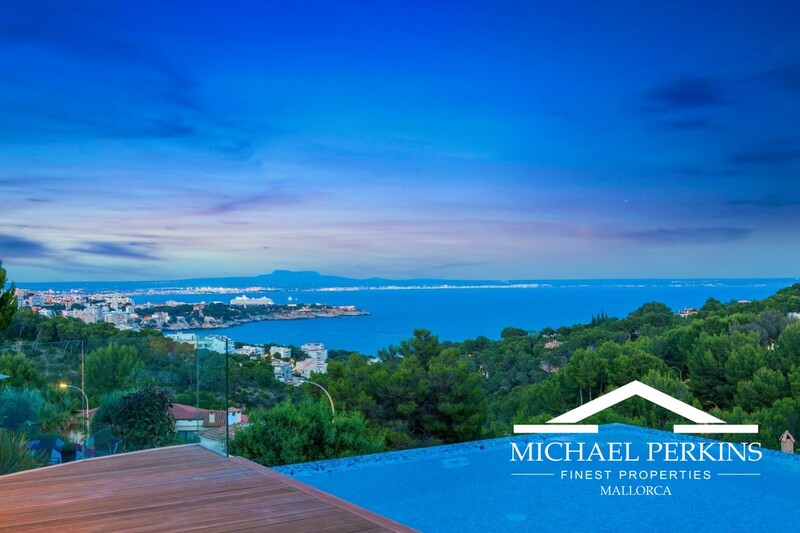 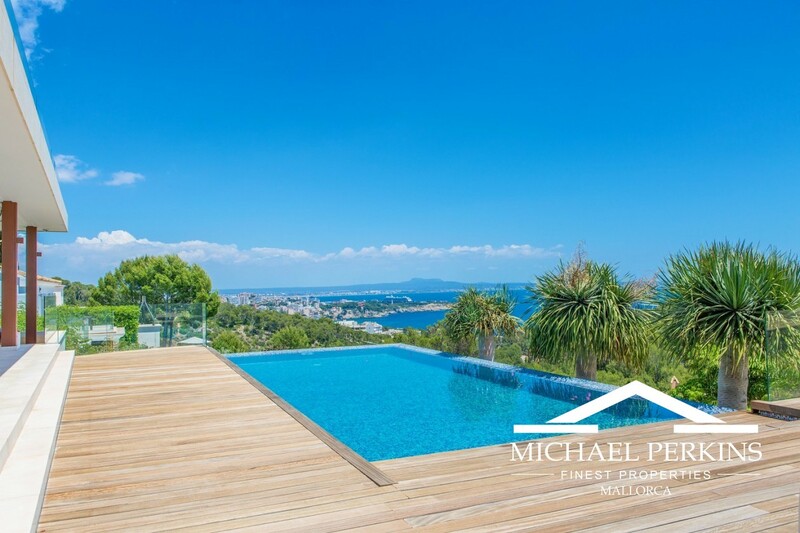 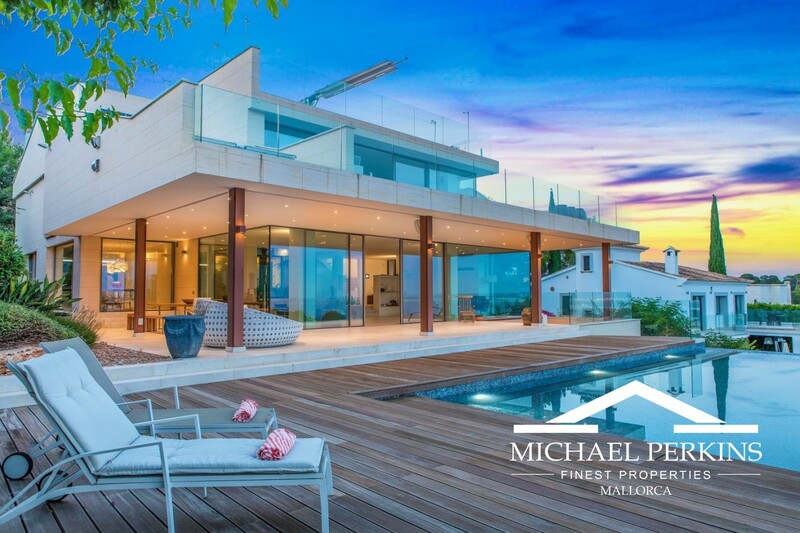 A very special contemporary styled villa with spectacular views of the City and Bay of Palma. 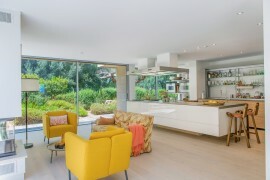 This spacious and light filled home has been completed to a very high specification incorporating the latest computer technology to control lighting, underfloor heating and air conditioning. 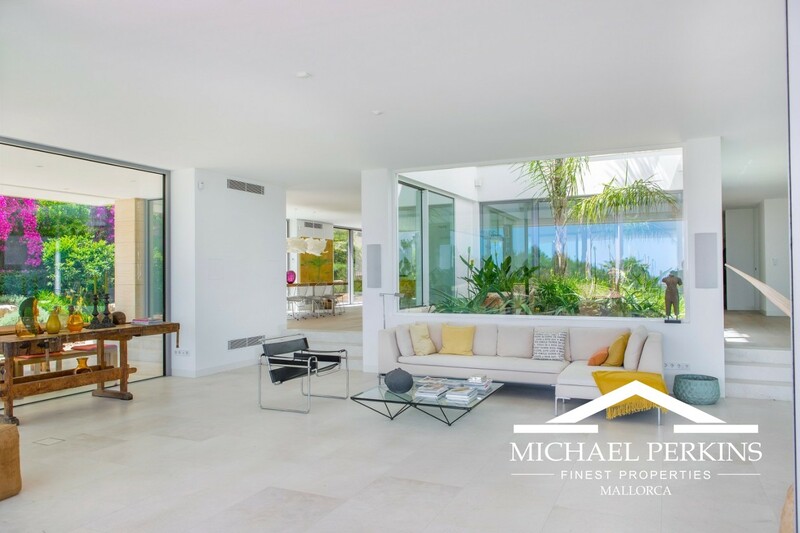 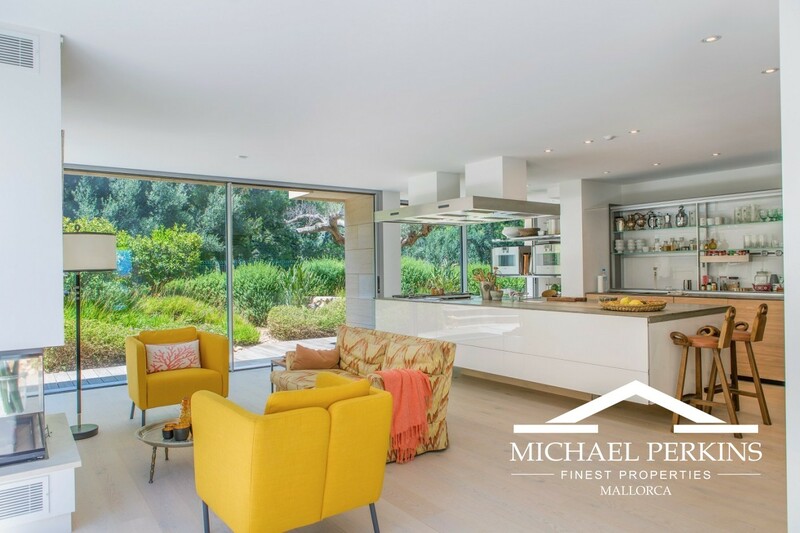 The bright open plan living and dining space has floor to ceiling windows and leads onto a stunning terrace with swimming pool. 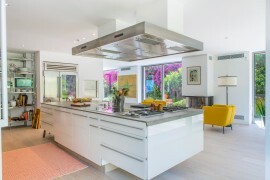 A fully equipped large kitchen with a sitting area and fireplace and a separate utility room. 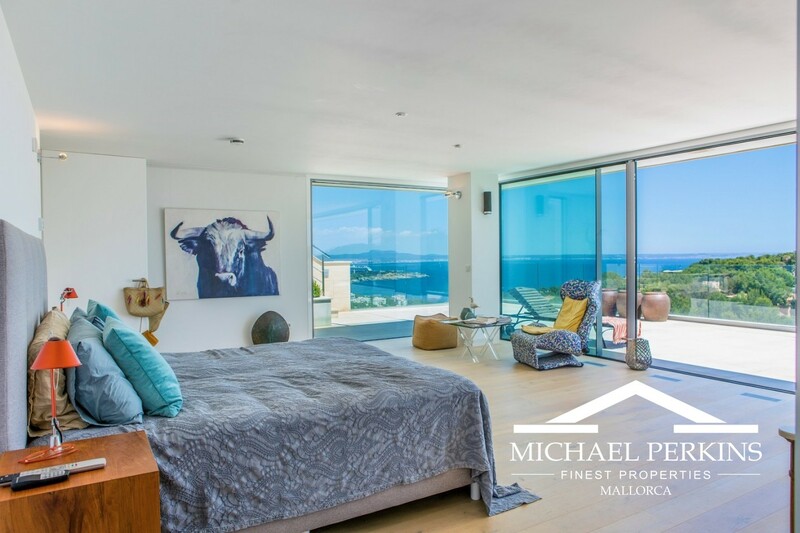 Five bedrooms including an impressive master suite. 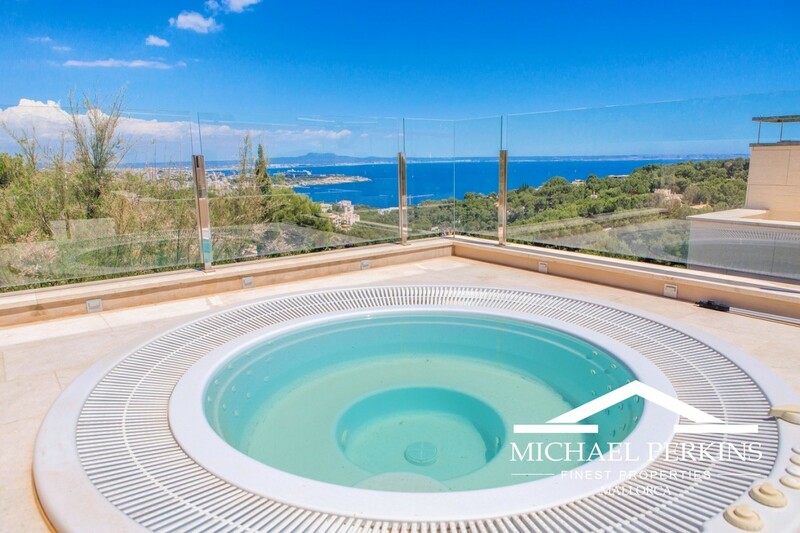 A spectacular roof terrace, ideal for entertaining, provides a summer kitchen, jacuzzi, toilet, shower and dumb waiter lift to the main kitchen. 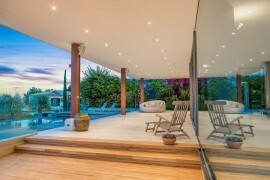 The property has been beautifully landscaped with Meditteranean plants. Other features include - central glass enclosed atrium, three car garage, lift, roof terrace electric sails, and BBQ area. The owners have taken great care to create a wonderful villa that can provide the next owners with a very special home. 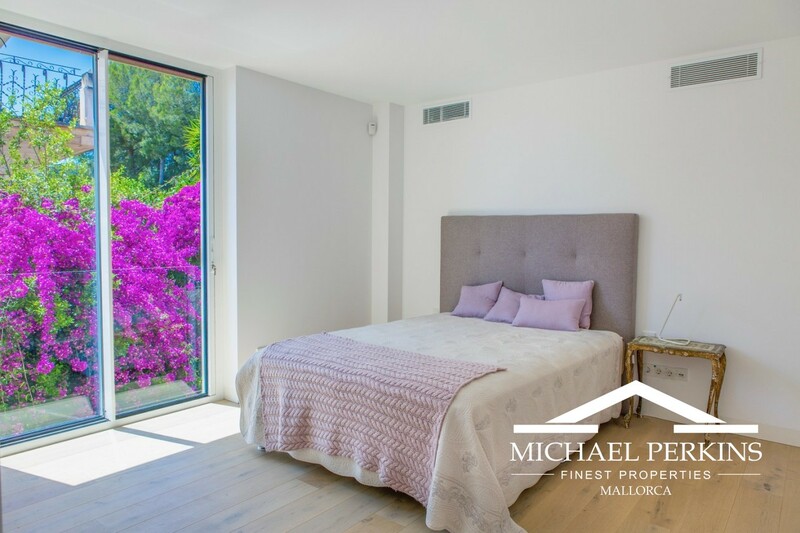 Bendinat is a much sought after residential area and this exceptional property is highly recommended for viewing to appreciate the fabulous interior and breathtaking views.